Providing transparency in our services and offerings is something we take great pride in. When you become our client, you will be assigned a dedicated case manager who will keep you updated throughout every step of the process. You will never be left wondering for weeks or months how and if your timeshare redemption process is progressing. 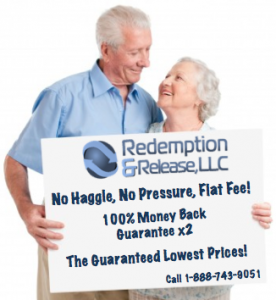 Here at Redemption & Release, LLC we only accept payment from our clients AFTER our transfer agreement has been reviewed, signed and filed by both parties. Never allow any company to charge you money prior to you having a written and endorsed agreement in your possession that you clearly understand and you can verify their verbal promises are in writing. As an extra layer of security, we recommend always paying for any type of service-type product with a major credit card. Why? 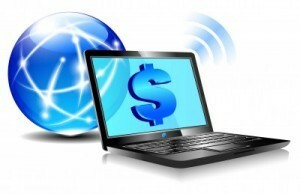 You may have additional protections from your credit card if the company does not perform as promised in writing. 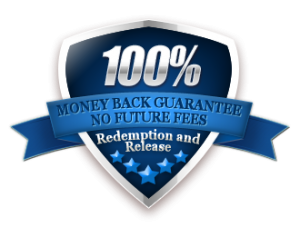 Redemption & Release, LLC only accepts payment by credit card – giving you the peace of mind that you may have extra layers of protection on top of our TWO 100% Money Back Guarantees (see below). We guarantee that your timeshare property will be legally and permanently recorded from your name of ownership. If for any reason your legal obligations to the property are not terminated by our office within the timeframe outlined in our Transfer Agreement – you are entitled to 100% of your money back. You will receive a full refund. We guarantee that once our transfer service has been completed, you will be obligated for no future fees on your previous timeshare ownership. If for any reason you receive an invoice for fees associated with your formerly held property that you are financially obligated for – you are entitled to 100% of your money back. You will receive a full refund. Our dual-layered guarantee provides a complete protection that no other office provides. Our clients enjoy the comforts of knowing that their investment in our office is protected by the industry’s strongest timeshare transfer guarantees.